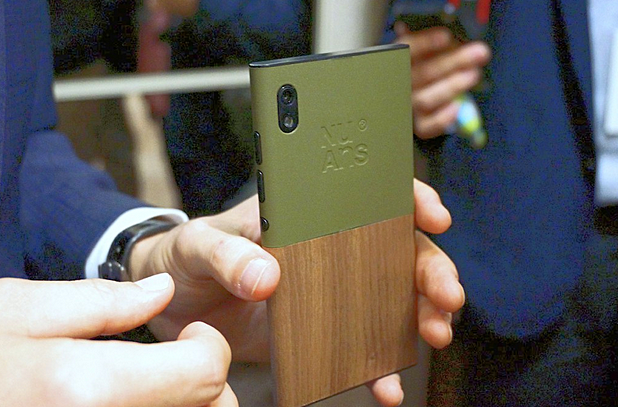 Remember NuAns Neo, a Windows 10 smartphone that was shown off in Japan late last year and debuted at CES in early 2016? Well, the company behind the phone has now announced its plans for the device's global launch, saying that Neo will be available via Kickstarter starting June-end. "The highly anticipated NuAns NEO mobile phone was first spotted at the 2016 Consumer Electronic Tradeshow in Las Vegas in early January," NuAns said. "From that moment on, the curiosity and excitement only grew as consumers in the states waiting for news on the NEO." "We are pleased to report that we are launching our Kickstarter campaign on the last week of June 2016 where consumers will have the opportunity to pre-purchase one of these units." As for specs, the handset is powered by a Snapdragon 617 SoC and sports a 5-inch HD display. It comes with 2GB RAM, 16GB expandable internal memory, and a USB Type-C port, as well as offers support for Continuum. The selling point of the device is that it features 'TWO-TONE' interchangeable covers for its back. There's currently no information on the Neo's price and final launch time-frame. i actually lol'ed at this: "the highly antecipated".